Martina and her daughter are not alone. Many families need guidance to become more open about these difficult subjects. 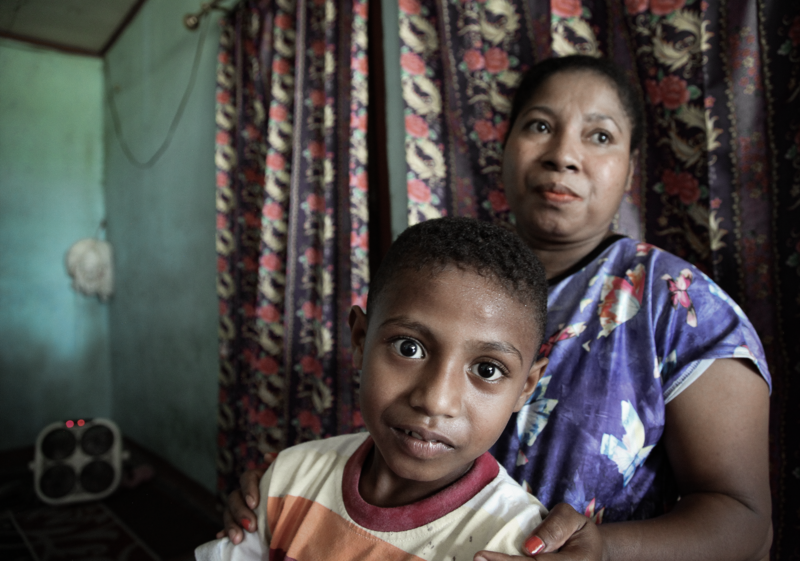 Traditional attitudes towards family and gender-roles prevail in West Papua, where jobs are scarce, infrastructure and services are weak, and poverty is widespread. Young people are often unwilling to approach adults with questions or concerns about relationships. Yet having a reliable source of support is critical in a community where violence is all too common. According to a report published in 2015, 60 per cent of men in Jayapura reported they had committed physical or sexual violence against an intimate partner. Nearly half of men reported believing that women should tolerate abuse to keep their family together. Martina’s support group is working to bring young people and caregivers together, improve communication skills, and diffuse conflict – part of broader efforts to end violence in the community. Run by the Indonesian Planned Parenthood Association, with support from UNFPA and Partners for Prevention, the programme aims to tackle the attitudes that fuel violence against women. “By helping young people and others in the community talk openly about relationships between the sexes, along with sexual and reproductive health and consent, we’re giving them the tools they need to build happy and rewarding relationships for the future,” explained Grace Temongmere, a UNFPA project officer in Jayapura. 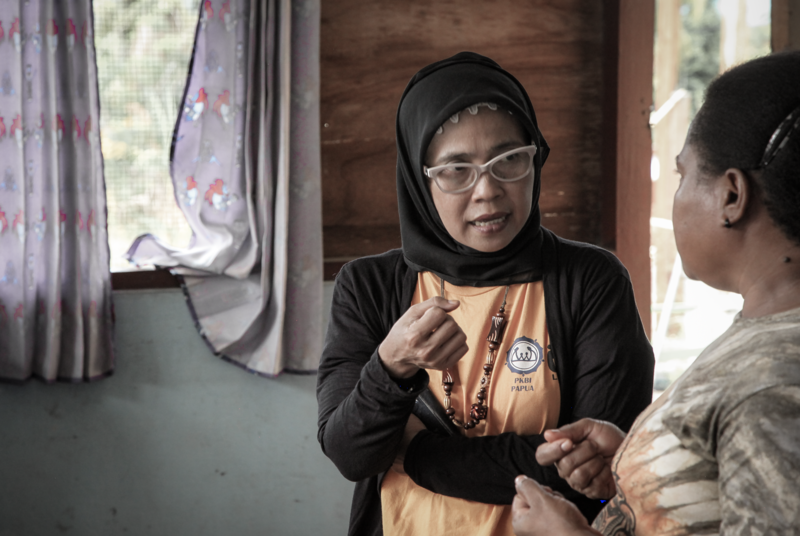 Budi Astuti, 41, became a group facilitator after solving a problem with violence in her own life. “The impact [of the training I received] was easy to share, because through my own experiences, I understand how they feel,” she said. “The programme looks at gender issues, including gender-based violence, and also how that links up with the risk of HIV,” said Ms. Astuti. Research shows violence can increase the risk of HIV, and vice versa. “But the most important thing was that, by working with other facilitators, by sharing our experiences and what we learned, I saw my situation differently and changed my own life,” she said. 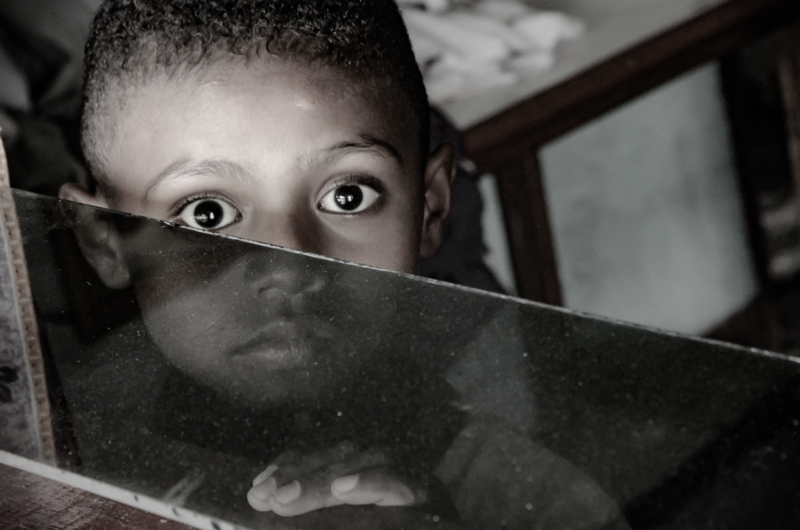 Thirteen-year-old Rivaldo Taime was empowered to change his own life, as well. He often shielded his younger brother when their father returned home in one of his whiskey-fuelled rages. 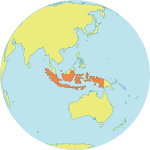 Substance abuse is prevalent in Jayapura, a factor closely associated with violence. But Rivaldo did something few youth have the courage to do – he reached out for help. And he found the support group. Eventually, Rivaldo convinced his father to join the group sessions with him. Life is still far from perfect. But slowly, things are improving, Emma says. “Over 14 months, the project has reached 131 adolescents and over 131 caregivers,” said Michiyo Yamada, who heads the Partners for Prevention programme, which also works in Bangladesh, Cambodia, China, Papua New Guinea and Viet Nam. These efforts have been shown to reduce the incidence of violence among participants. In Papua New Guinea, for example, intimate partner violence fell by 10 per cent in just under one year. The project in West Papua is now winding down, she noted, but its popularity and success have convinced local governments, community leaders and volunteers to try to keep the support groups going.